On Oct. 21, 2011, President Barack Obama announced that the last combat soldier would leave Iraq by the end of that year, drawing the eight-year war to a close. “Our troops will definitely be home for the holidays,” Mr. Obama said at the White House. Less than three years later, he told a national television audience that he would send 475 military advisers back to Iraq to help in the battle against the Islamic State. By April 2016, more than 5,000 American troops were in Iraq. This is when I personally started to become aware of the wages of war. Before this, I was apathetic to war; disengaged. 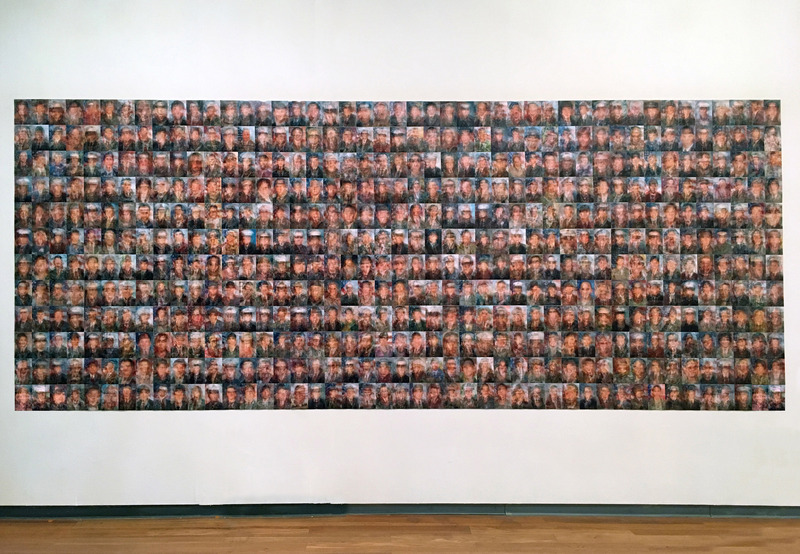 This piece consists of 4,497 images of the men and women who died while serving in the Iraq War from 2003-2011 and the Congressmen and women who were seated when voting to go back to war.